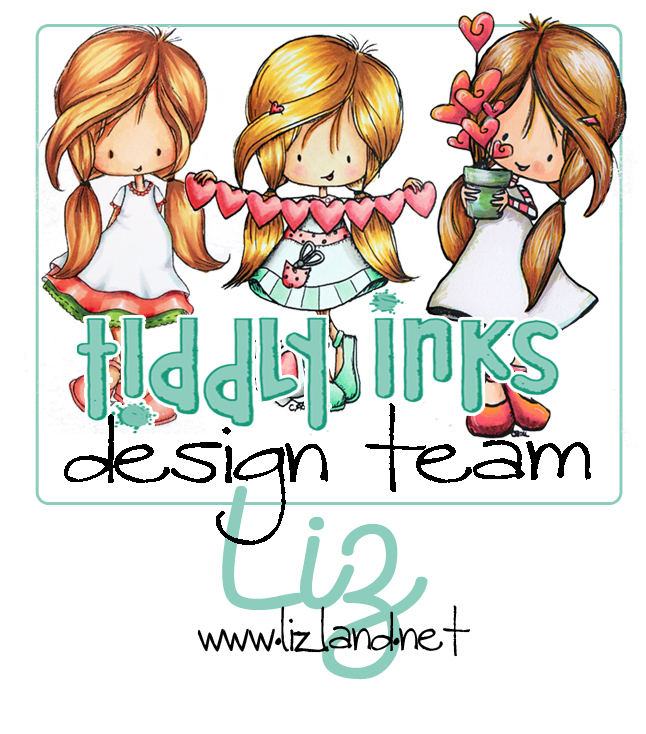 Did you see the new release over at Tiddly Inks? There are so many cute ones and they have even got a few brand new clear stamps! Yey! 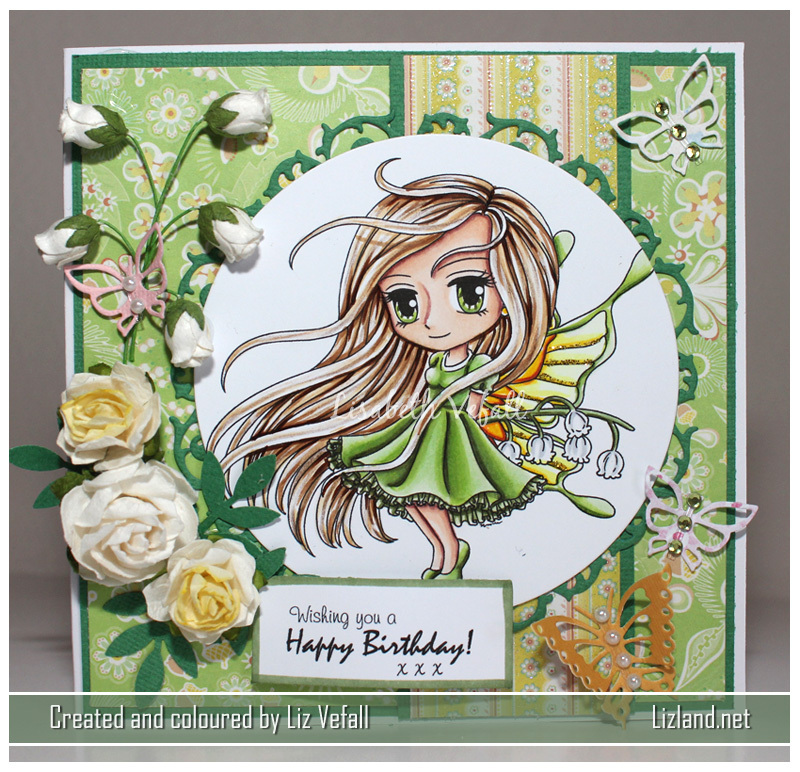 One of my favourites from this new release is the little fairy! The image is called Magical Day. I decided to doodle a bit on this one and gave her a striped top so she looks a little like a bee fairy! I also embossed the wings with gold glitter and white after colouring them yellow to make them sparkle. It’s not a big surprise anymore than this is yet another CAS card. I made the background with a Tim Holtz stencil, some distress oxide inks and gold embossing powder. 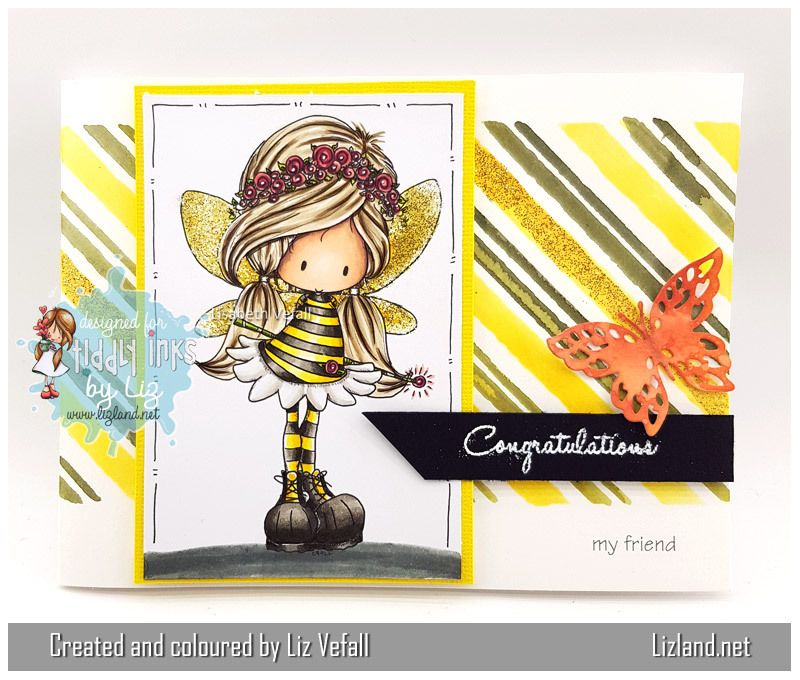 The butterfly is also coloured with distress oxide and cut out with a Precious Marieke die. I printed the words “my friend” onto the card base and then embossed a Little Birdie text stamp in white. Allergy and sunburn season is up! Or as it is more commonly called: summer. Every summer Copic Marker Norge’s design team have one week each where they are to inspire copic users. This week is my week and here is my first card. I have gone through my stash to find something I’ve not coloured before and I found this. An adorable fairy by Saturated Canary. I’ve coloured it all in with copics, as always. It would be a bit silly trying to inspire copic users with other tools, right? 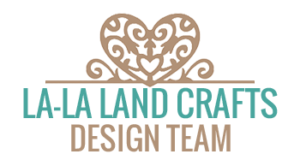 The various other stash are from Papermania, Wild Orchid Crafts, Martha Stewart and Live and Love Crafts. I’ve made the sentiment myself. Here is a closer up view of the colouring. I think that is my least favourite part of this whole week… the close-ups.. hahaha. 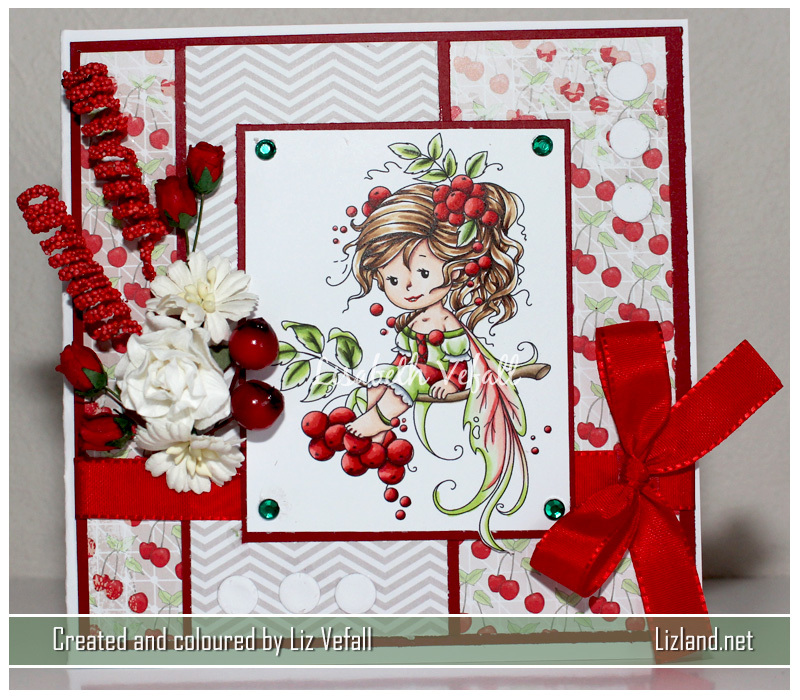 Time for another anything goes challenge at Art by Mi Ran’s Facebook group! The optional theme this month is music, which I decided (yet again) to opt out of! 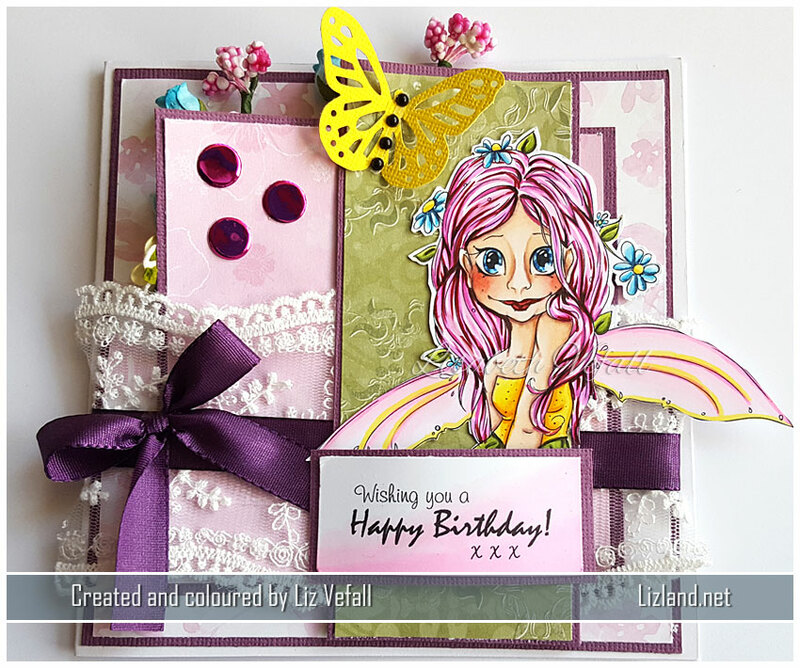 For my card I’ve used the adorable Fairy Lily. I’ve been wanting to use this image for a long time, and I finally did it! 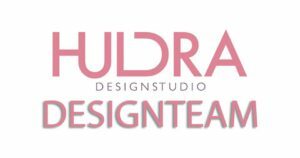 The papers are First Edition papers, the flowers Wild Orchid Crafts and the dies are by Noor Design. The sentiment is my own. Copics used: (hair) E53, E55, E57, E59 + brown pencil, (skin) E000, E00, E04, E11, (dress) G40, G82, G94, G99, YG03 + green pencil, (wings) Y00. Y04, Y08, YR16, E19. Friday this week was the 15th of the month and that means it was time for a new challenge at Copic Marker Norge. This time we’d like you to do Red, but not Christmas. 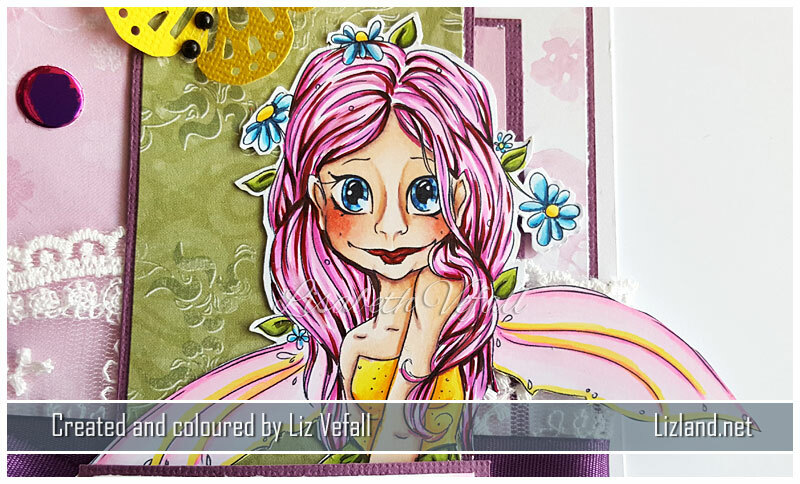 I’ve coloured in this adorable little fairy by Sylvia Zet, using copics. She is called Rowan Fairy.The colours I used can be found below the image. 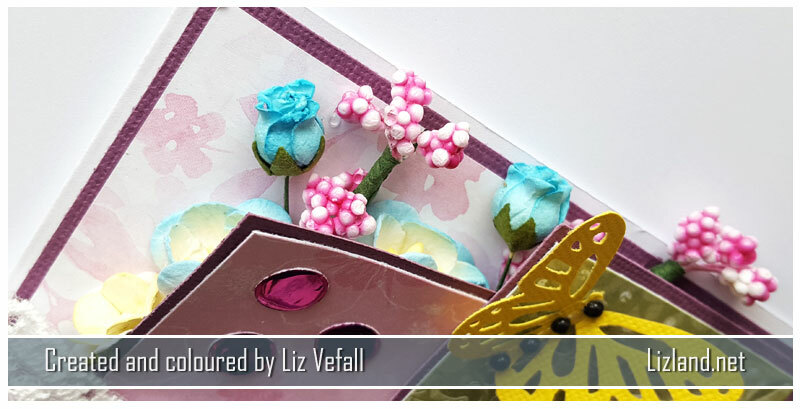 I used papers from Papermania, flowers from Wild Orchid Crafts and Live and Love Crafts and ribbon from a local shop as well as some Candy from Craftwork Cards.